Location: 207-304 Columbia Street, New Westminster, British Columbia. This company published the quarterly periodical (April, July, October, January) Canadian Cartoonist which began in April 1989 and lasted at least till April 1990. It focused on newspaper cartoonists like editorial cartoonists Roy Peterson, Bruce McKinnon and strip cartoonists like Ted Martin (Pavlov), Lynn Johnston (For Better Or For Worse). Canadian Cartoonist, v. 1, April 1989. Canadian Cartoonist, v. 3, October 1989. 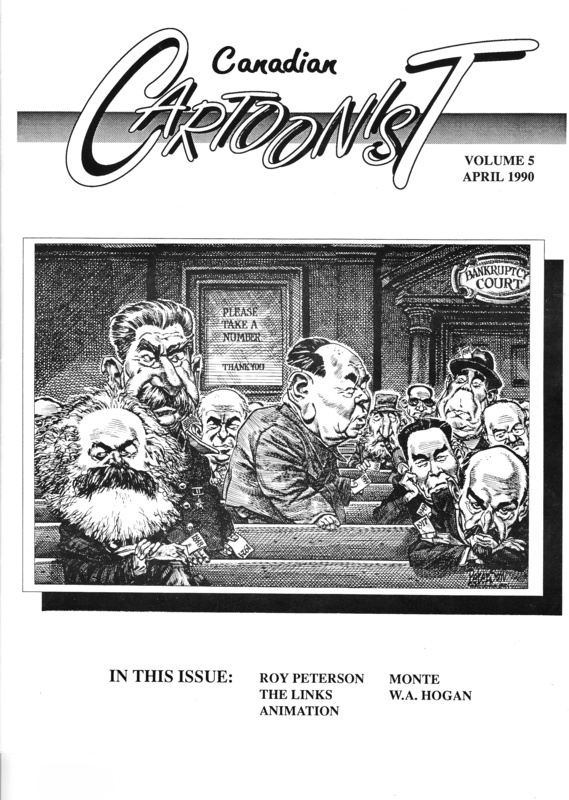 Canadian Cartoonist, v. 5, April 1989. Car., Roy Peterson. Canadian Cartoonist, 5, April 1990: Front cover.